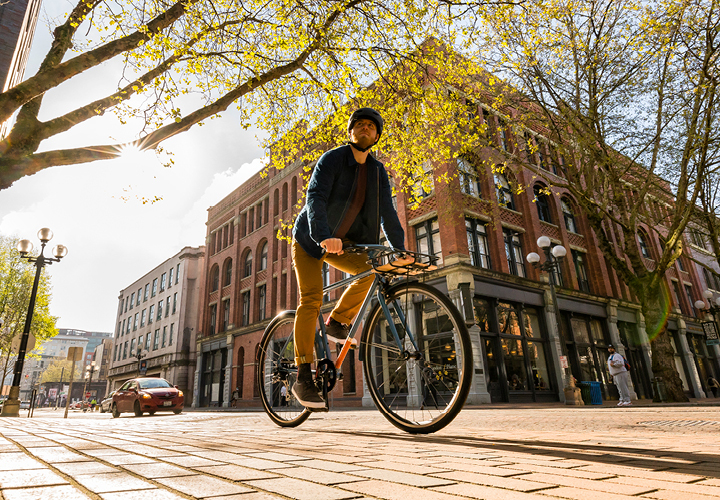 5 Features That Increase Bike Joy - Sometimes our bike joy wanes as the days get shorter and the weather less agreeable. With these five bike features, riding can remain a pleasure long after shorts weather is gone. 1. Reflective details give you piece of mind since they help you stay visible when it’s dark out. But don’t think ugly red and amber reflectors like you had as a kid. The Carlton series incorporates reflective details as stylish stripes on the frame and fenders, which add to the overall look. 2. Fenders banish wardrobe woes. They are great for keeping road muck off you and your bike, so you can arrive at your destination looking polished. They also add some urban chic to your bike look. 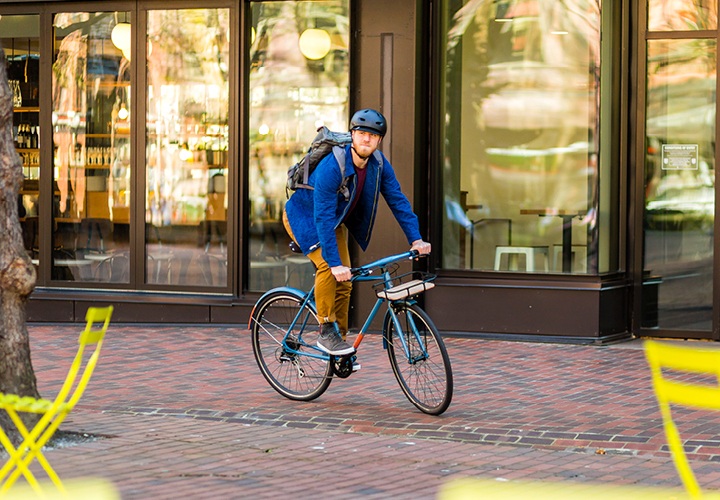 Hop on a Tourist, Port Townsend, Carlton Mixte 8 or Carlton 8 without worrying about your wardrobe choices. 3. A basket or rack holds extra layers. When the season changes, it can be tricky to get your layers just right. With a basket or rack, you can easily stash a jacket for when you need it. The Superbe has a big wicker basket that is even removable and every bike in the Carlton series has a front rack. If you want a larger front rack the Port Townsend is a great choice. 4. A bell is a great way to alert people to your presence. 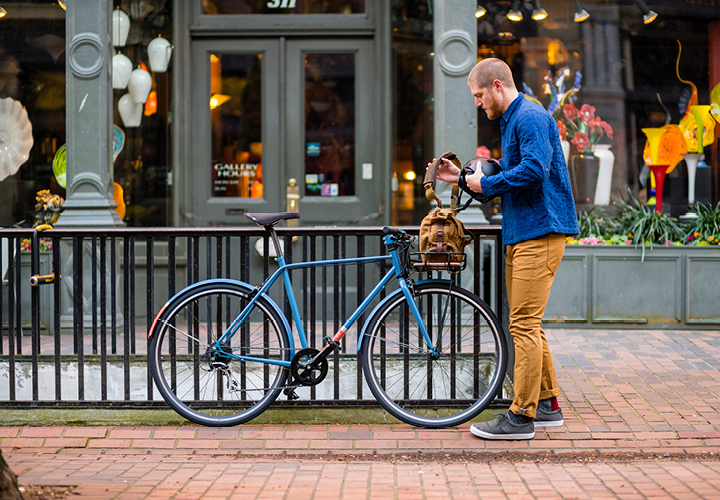 When you accompany your ring with a cheery greeting, you can spread some bike joy and make a stranger’s day. The Carlton series, Superbe and Gala all come with a bell. 5. Disc brakes are key for wet weather riding. They provide extra stopping power and improved modulation so you can stop quickly and smoothly, no white knuckles required. The Preston, Tourist, Clubman and Adventure Road bikes all have disc brakes.